This election, he's given the Illinois Republican Party roughly 16 million dollars - money that's being spent on state legislative races. 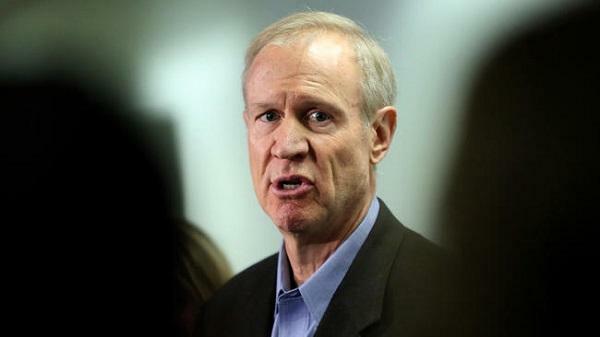 But, despite that substantial investment, Rauner has repeatedly denied any involvement in the campaigns. "I'm encouraging everybody who ... might be a public servant to get involved, I'm doing that; but I'm not involved in races per say - predicting races or advising races. I'm not involved in that." More than a dozen seats could be in play in the Illinois House. There are also a handful of competitive Senate races. Illinois Democrats currently hold large enough majorities that they've been able to block Rauner's attempts to significantly weaken labor unions. Rauner and his aides have been active in filling seats vacated by Republican legislators ... and Rauner actively campaigned against a pro-union Republican in the primary.